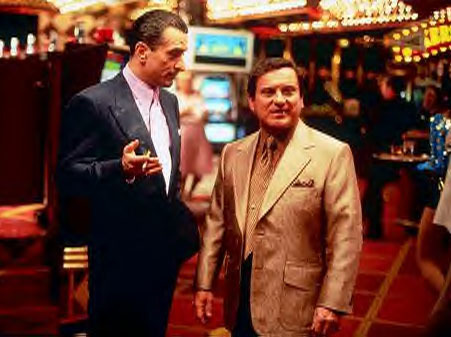 This movie was directed by Martin Scorsese and tells the brutal story of how organised crime built and controlled the casinos of the Las Vegas Strip. The movie stars Sharon Stone (she won a Golden Globe and an Academy Award for her role), Robert DeNiro and Joe Pesci. The story is unsurprisingly a very violent one, and it is based on real life. 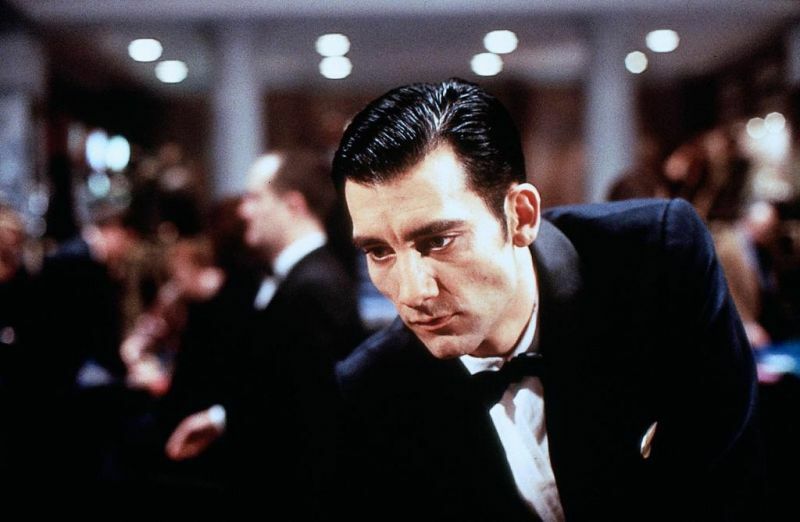 This is a story about a casino dealer (or croupier) and was directed by Mike Hodge and starred Clive Owen. It is set in London and Jack Manfred (played by Owen) is a struggling writer who takes a job as a casino dealer. He meets a beautiful female gambler and they plot a heist on the casino (to say any more would be a spoiler). The firm is certainly worth watching and received high critical acclaim. The original “Ocean’s 11” film was released in 1960 and tells the story of several casino robberies that were carried out on a single night, on New Years Eve. It starred Frank Sinatra, Peter Lawford, Sammy Davis Jr, Joey Bishop and Dean Martin. Unfortunately, all the money gets cremated alongside the body of one of the robbers. 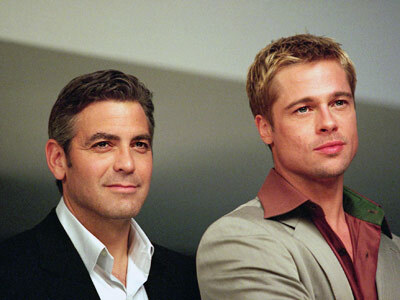 The remake in 2001 was directed by Steven Soderbergh and the cast included Brad Pitt, Matt Damon, Julia Roberts, and George Clooney. It was a major box office hit grossing nearly $0.5 billion. 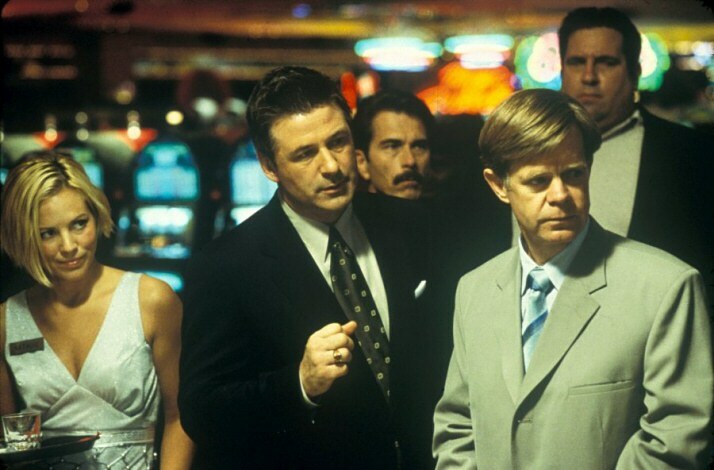 The Cooler was directed by Wayne Kramer and stars William H. Macy as Bernie Lootz, a born loser who is employed by the casino to sit with and, as a consequence, reverse the good fortune of big winners. He has an affair with a waitress and the whole thing gets very complicated. Overall it is a good movie, though far from being a great one. Macy plays his role for laughs which fall a little short. Some think that this is one of the best James Bond films, though opinions are divided. Daniel Craig plays 007 and the film also stars Judi Dench, John Cleese and Mads Mikkelson. It covers the early part of Bond’s role as a secret agent and was a major box office hit; in total the movie grossed $0.6 billion. 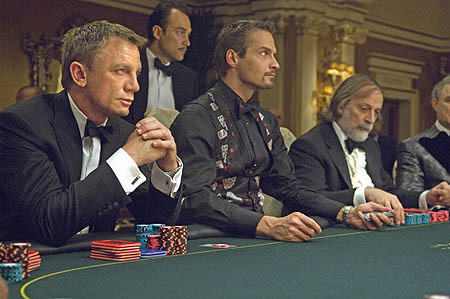 There are plenty of films that show casinos, and if you get the urge to play a casino game after watching one of these films at home, then you can check out some online casinos and you can play from the comfort of your own home.